The first SIMES street lighting pole top . 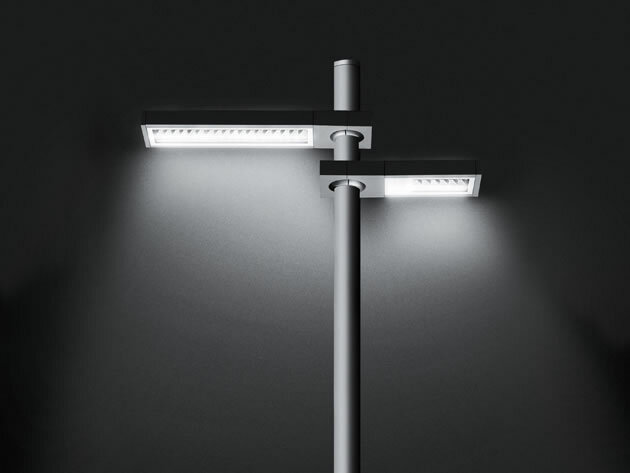 Essential in its forms and with a clean cut design the AVENUE is a fixture designed with an aluminium die cast housing that contains the latest state of the art LED technology. The compact size and reduced thickness of AVENUE give an elegant solution to what is usually a complex luminaire design issue. 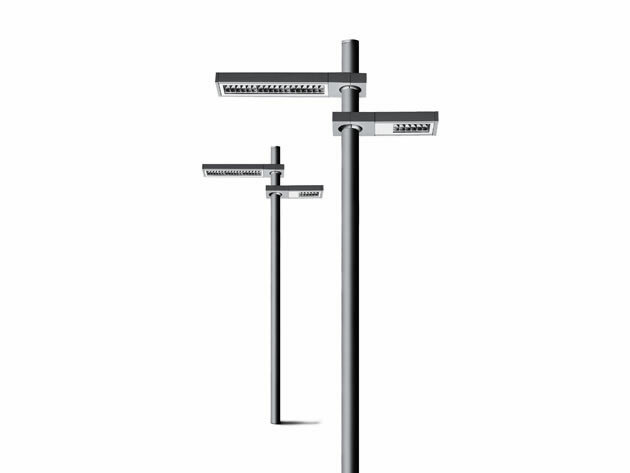 The innovative pole bracket allows for AVENUE to be positioned at any height and to adapt to different pole diameters . The advanced engineering of the optics place AVENUE at the top end of its category with an inter distance of 4 times the height of the pole. ( Lighting category ME4A- Service roads and roads outside urban areas ).